Every so often I like to create content just for the fun of creating it. 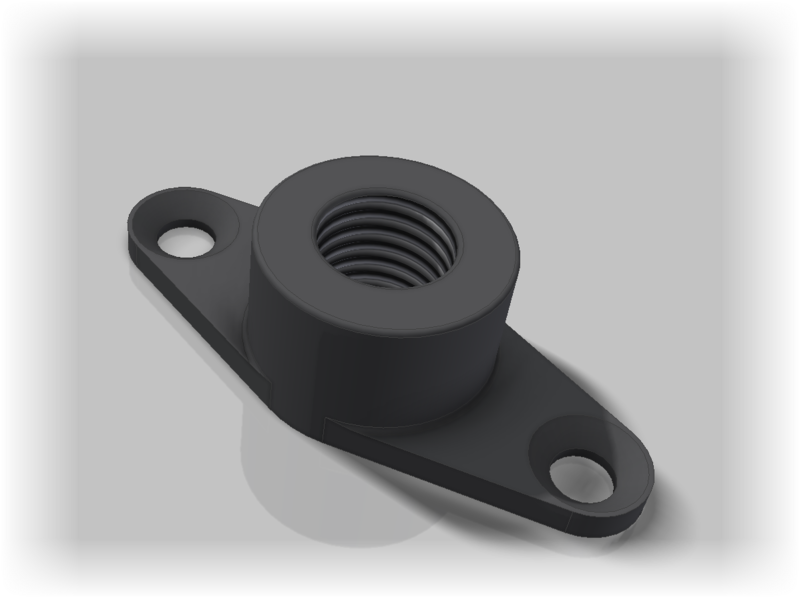 It does keep me practicing my Inventor skills, and sometimes, I just enjoy doing it. One thing I've been doing over the course of the last few months has been creating some standard aviation style hardware. I've created them as iParts, similar to I have in similar posts. A sample of the nutplate iPart. I've created the parts using the same methods as in my post from a few months ago. The steps are largely the same, so I won't recreate those steps here. They're already in that post. However, there are a couple of differences that are worth pointing out in this new version. In this model, I've suppressed features in some of my iPart members. This is because some of variations have a counterbore in the bottom, and others don't. As a result, you'll see lines where the counterbore features, and the feature attached to them, are suppressed. Features that need to be Suppressed for some family members can be added on the Suppression tab. A Suppression Column. I like to type out the words myself. Suppression and compression of a feature by typing one of several values in the field. Compute (turn on) a feature with one of the following. I've also added a material column this time around, this makes sure the mass is accurate for each variation as well. 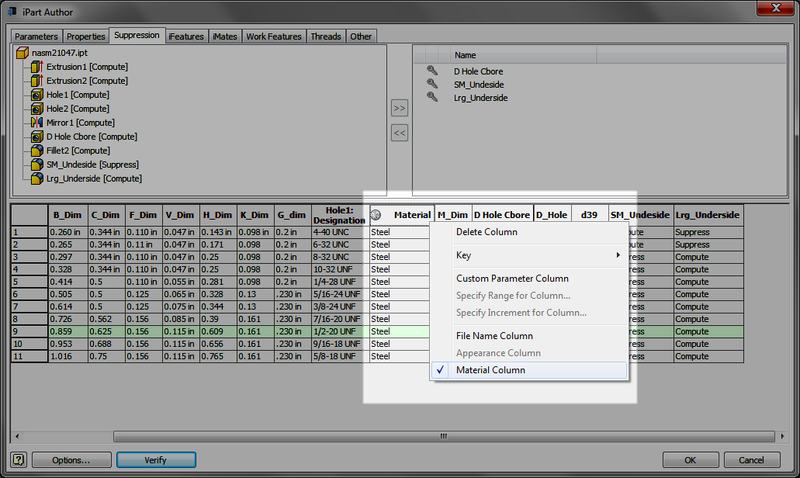 You can tell a column to be a Material column by right clicking on the header, and selecting the Material Column option. Then type in the material you want in the field. Mostly, I just want to create a sample that you can use to get ideas how to create an iPart, or use this as inspiration to build your own iPart! After all, why do the work if it's not going to be shared. The iPart was built in Inventor 2015. 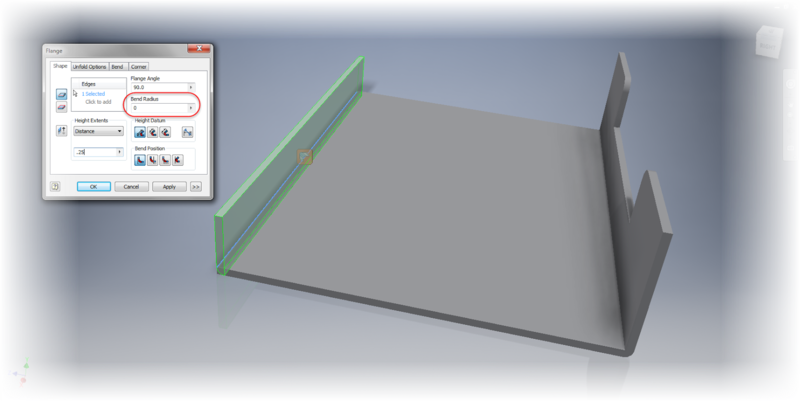 Take a look at the GrabCAD link here! A login is required, but it's free! Download and enjoy! Alternately, here's an another link to the iPart that doesn't require a login! On one last note, I've done my best to make sure the dimensions are accurate, but there's always the chance I missed something. It never hurts to check. And if I missed something, let me know! I'll do my best to correct it! Having returned from a trip to Arizona, I felt it was time to walk a bit more deeply into one of Inventor 2016's new features. 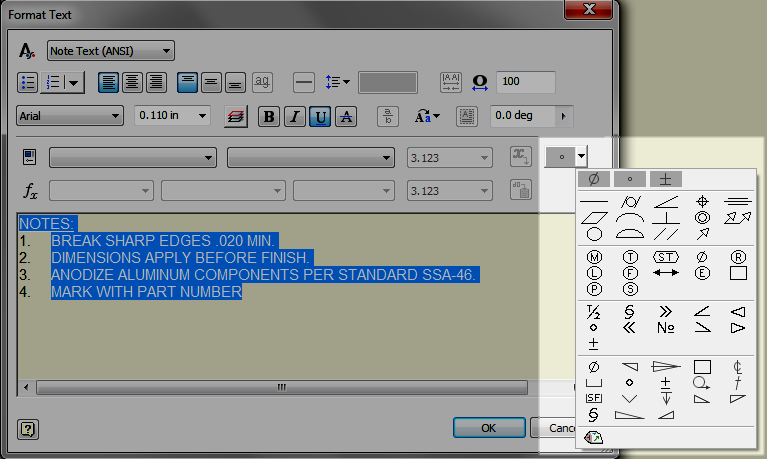 And I'm going to choose the automatic thickness detection in sheet metal. 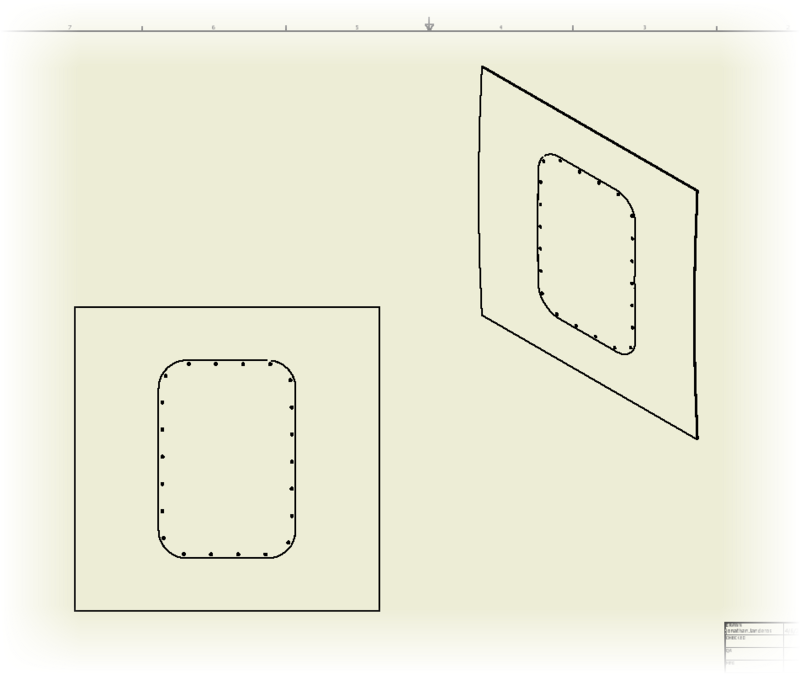 In short, when converting a model to sheet metal, Inventor 2016 automatically detects the material thickness, versus the "measure and copy" method of previous Inventor versions. 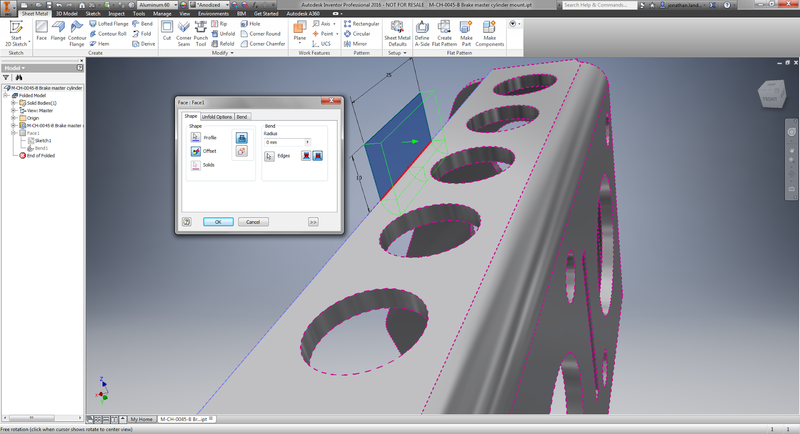 The process starts out with a part in the Inventor part modeling environment. In my test, I used a base solid, as you might see in an imported file. 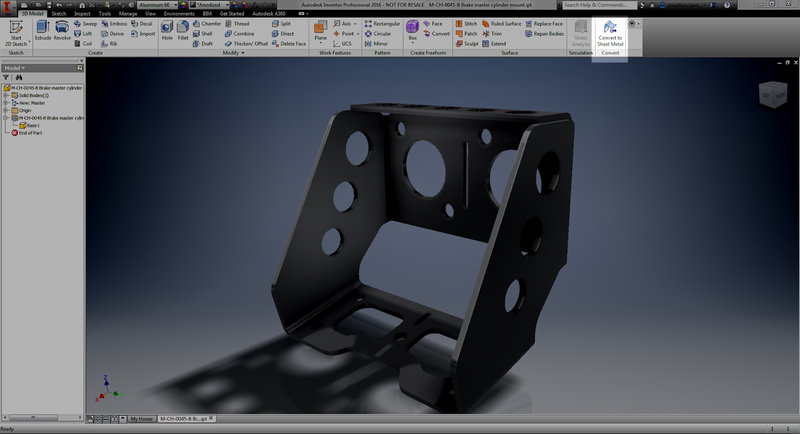 It's currently a "standard" Inventor part, and hasn't been turned into a sheet metal component. First, it's converted to sheet metal with the Convert to Sheet Metal icon. Now, convert to sheet metal. 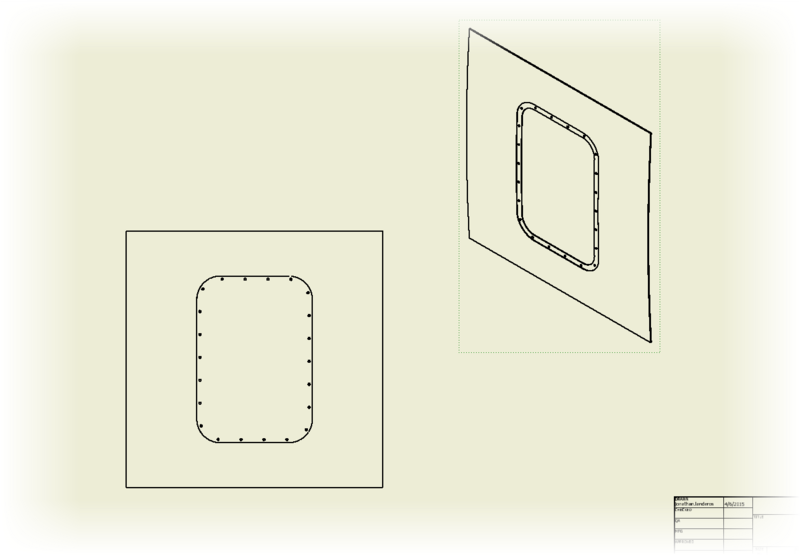 After selecting this icon, Inventor is going to ask you to select a base face. This face represents the face that Inventor is going to unfold around. 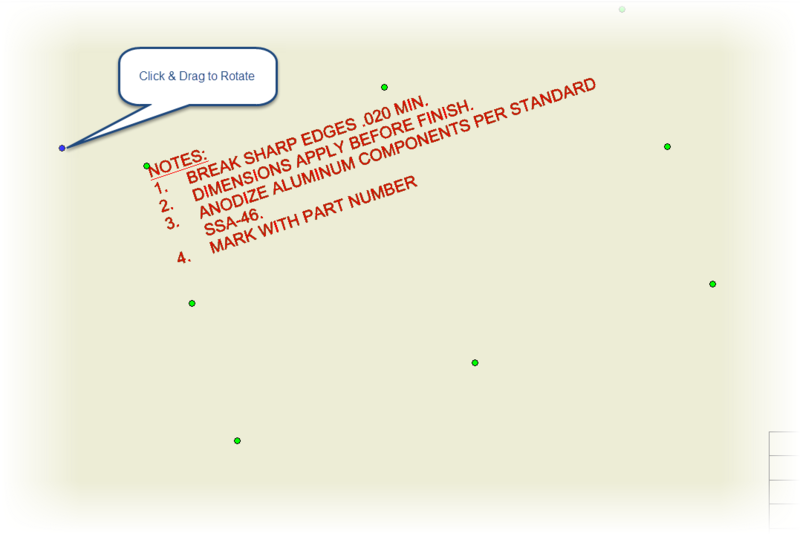 This is what will help Inventor find the sheet metal thickness for you. 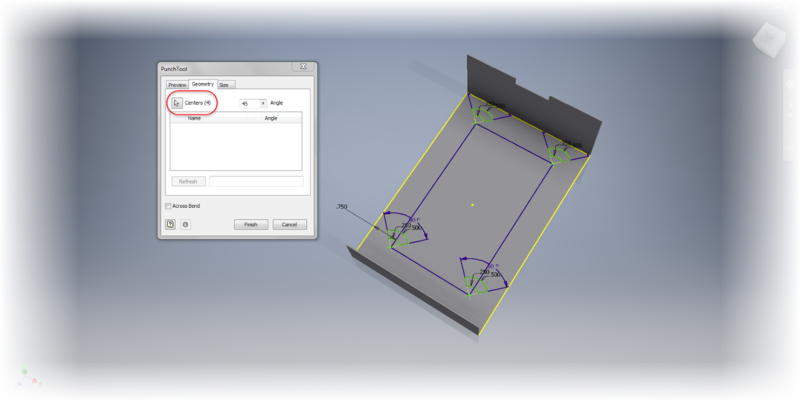 Once you select the base face, Inventor will open the Sheet Metal Defaults dialog box, and display the thickness as measured in the Thickness field. Beyond that, there's not much left to do but carry on! 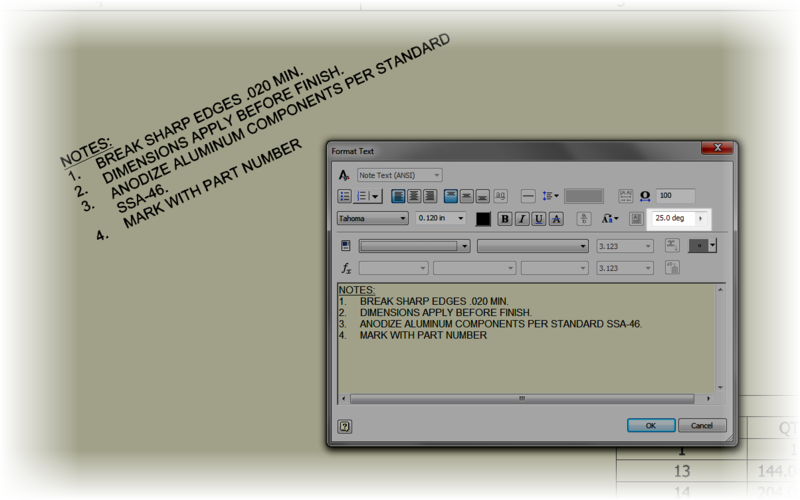 The sheet metal thickness is measured, and now you can begin using your sheet metal tools! Give it a try! It's worked pretty well for me so far. I've downloaded two models from GrabCAD, and both worked just fine! And if you see this post in video form, here it is below! 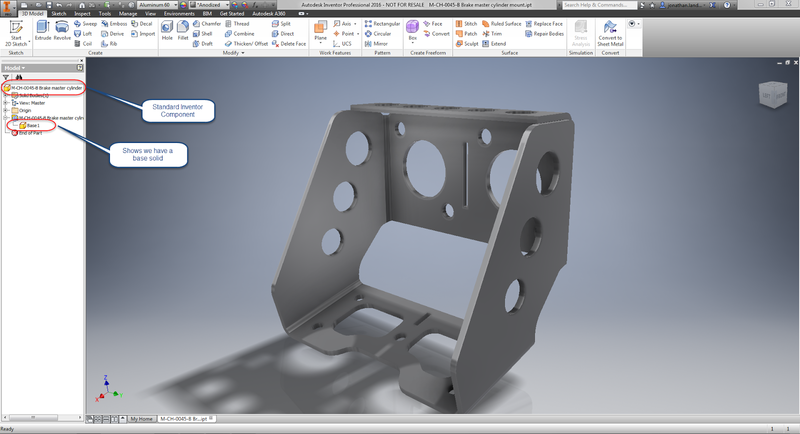 Sheet metal has had some nice improvements in Inventor. Speaking for myself, I think there are some pretty exciting features. So what are some of these new features? 1) Multi-body is now supported in sheet metal. 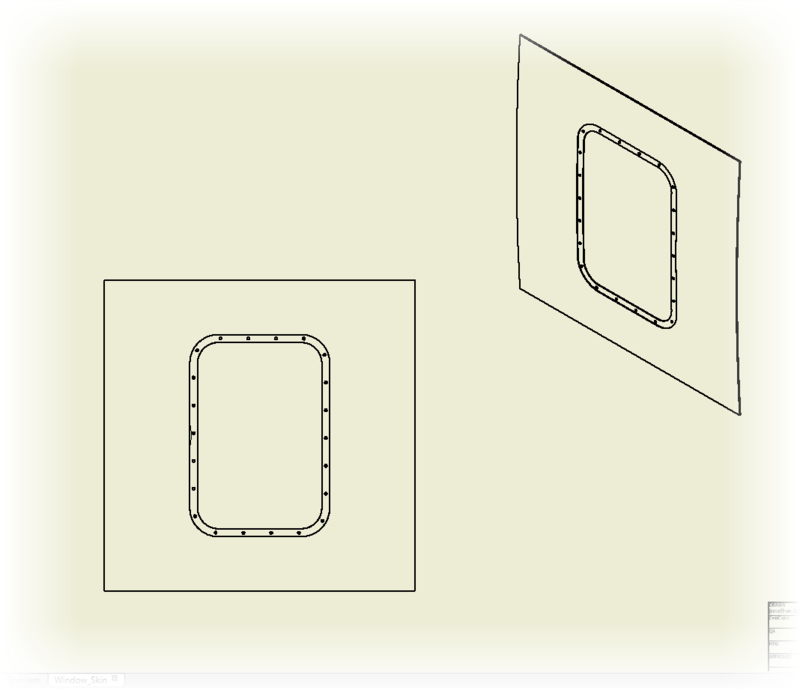 Now you can create multiple sheet metal bodies in a single part file. 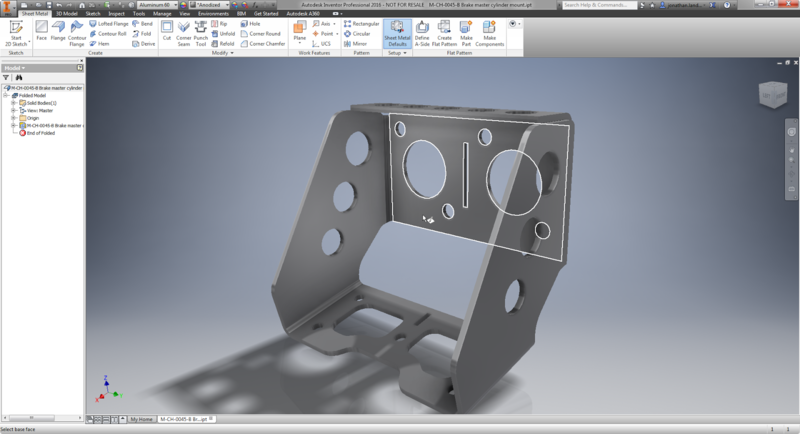 This gives an opportunity for whole new ways of laying out components in Inventor! Create geometry in both solids, then create separate components from the solids! 2) Zero bend radius. I've heard this one requested from time to time, and when I say "time to time", I mean "all the time". Quite simply, it's the ability to create a bend with zero radius. No more red in the bend radius field when you want to make that sharp corner! 3) Auto detect material thickness. 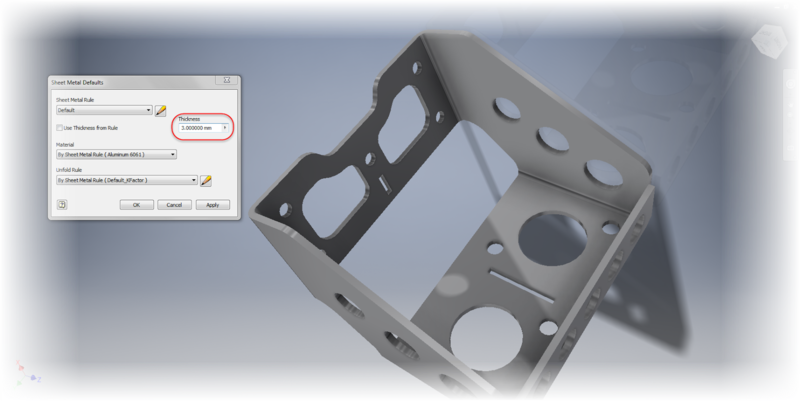 When using imported components into the sheet metal environment, Inventor now has the ability to detect the material thickness. One manual step saved! 4) Punch tool shows number of instances. 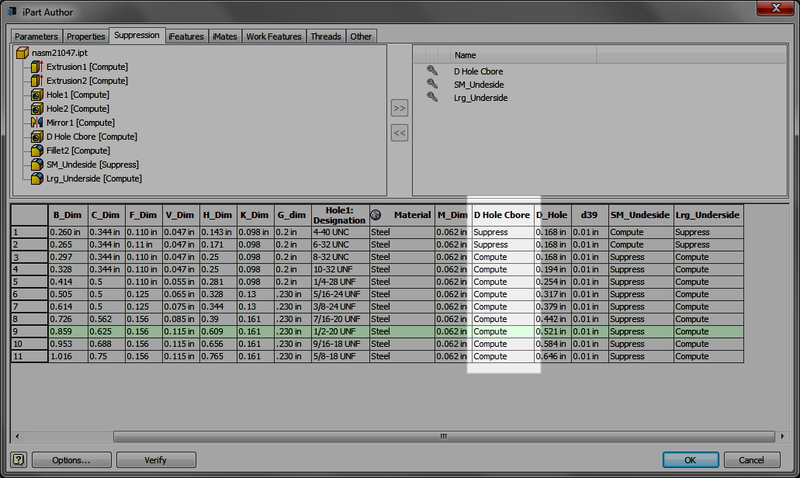 The punch tool will show the number of instances in the dialog box when placing them. It's a simple thing, but a nice thing to know before you commit the command. 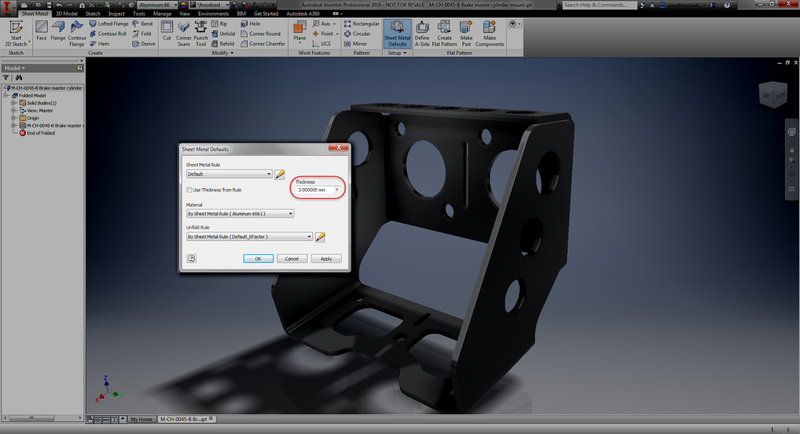 So there are four quick bullet points on what's new in Autodesk Inventor 2016 sheet metal. I'm planning on creating some more posts that will go into a little more detail on how to use these tools, and I'm hoping to do that soon. 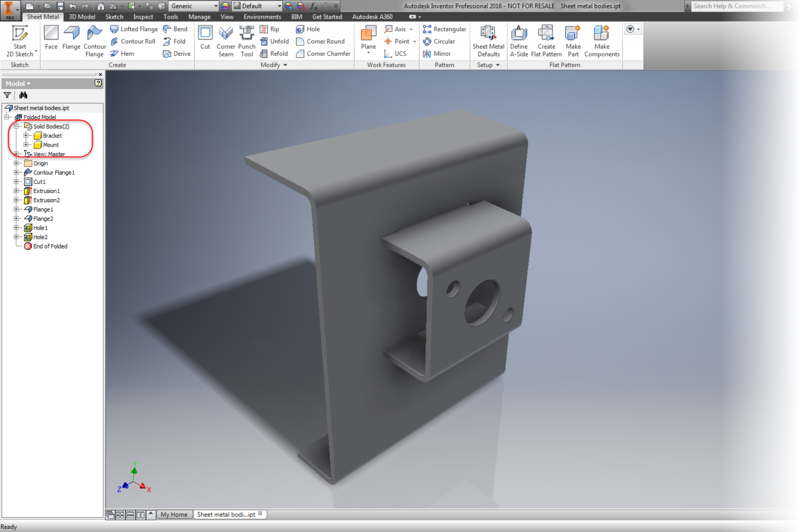 In this post, I decided to continue with my discussion on what's new in Autodesk Inventor drawings. This time, I thought I'd share some of the text improvements that have come a long inside of Inventor. First, the dialog box has been changed slightly. Primarily the layout has been changed, mostly to help organize and streamline things a bit. But if you look closer at the screen, you'll also see a few new buttons. Notice that there's now buttons for bullets and numbering, as well as a button for strike-through. 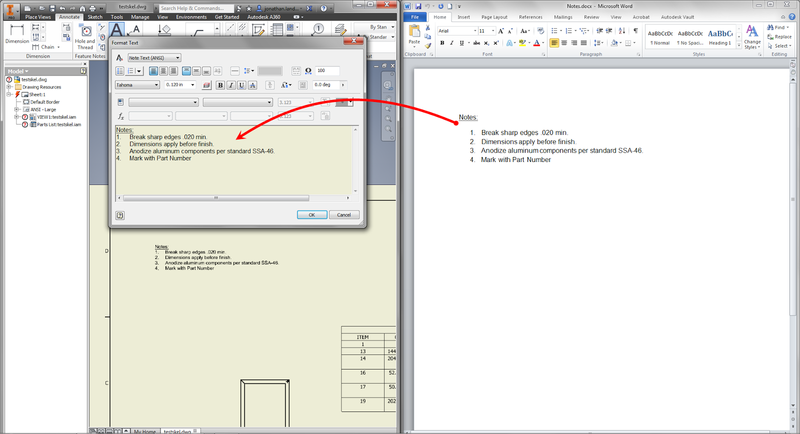 Now you can create this formatting right in the text box. The location of the new Bullet, Numbering, & Strikethrough icons. Also, if you copy from Microsoft Word into Inventor's text box, any bullets and numbering used is kept, so you can change it after it's been placed. Just copy and paste and the formatting is preserved. You might also notice that the Zoom in and out arrows are gone. But the functionality remains! Now hold down the CNTL key and scroll the mouse wheel to zoom text in and out. Once again we have 2015 on the right and 2016 on the left. Another nice little add is the ability to change case. Do you want to force text to have ALL CAPS, all lower case, or Set To Title Case? That's been added now too! The symbol list has been changed too this should make it easier to locate the symbol you want. And did you notice something in the above screenshots? There's a preview on the drawing sheet as you type the text. That's not a trick of screen capture editing, that's the real deal. The preview on your drawing, you can see your results as you type! Finally, should you need to rotate your text, you have the option to do so on screen. Just grab the blue grip with your mouse, and rotate to the angle you want. And if you still prefer to rotate precisely, you can still do that in the dialog box. Changing the text rotation via the dialog box. And that's it for now! 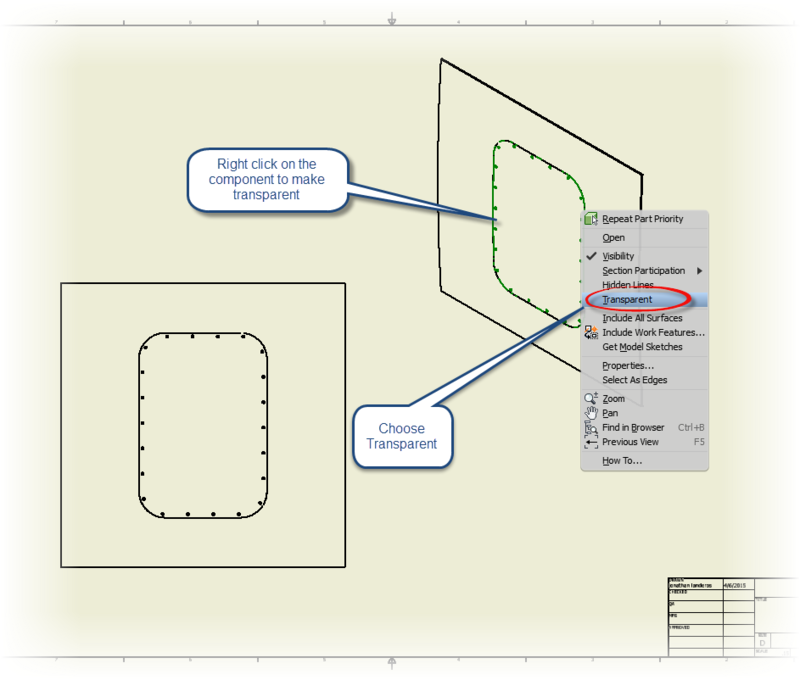 A few of the improvements in text editing in Autodesk Inventor 2016. I can't create a video for this one I'm afraid. I'm on the road so I don't have any of my video gear with me! I hope to add one later! 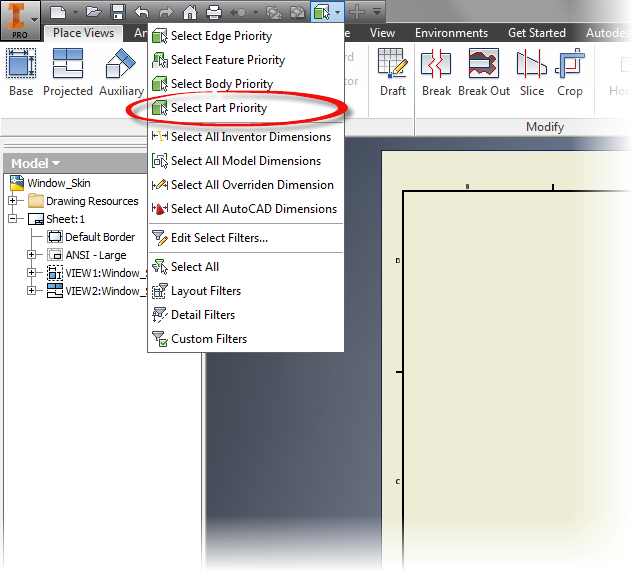 Transparent Parts in Autodesk Inventor 2016 Drawings - It's New! But in my post here, I thought I'd delve into just one of the features a little more deeply. It's a very common thing. An assembly contains components that are made out of some sort of clear material. Glass, Lexan, so on. For my example. 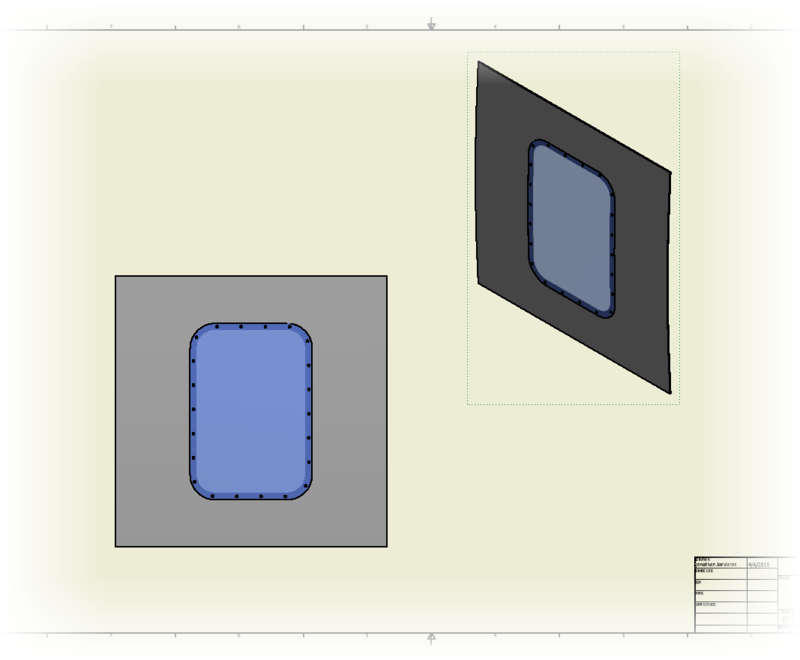 I've created a representation of an aircraft window. It's not a perfectly engineered design, but it does show the new functionality nicely. 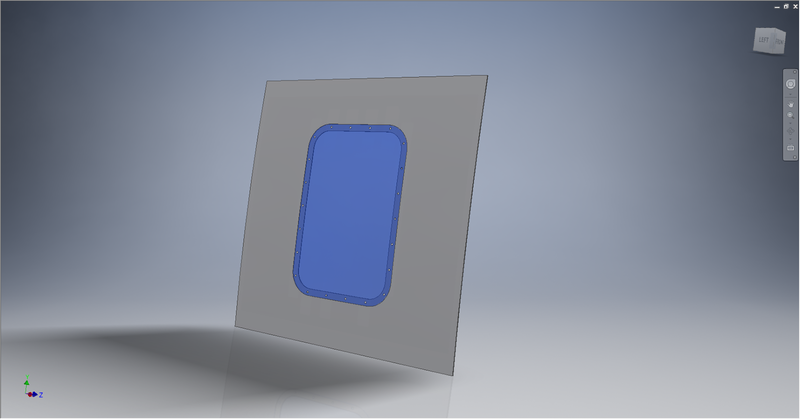 In versions previous to Inventor 2016, the only way to show the part as transparent was to render the view, which while effective, wasn't always desirable. However, if you turn off rendering, the part now looks like a solid plate, and nothing like the clear glass it's supposed to represent. 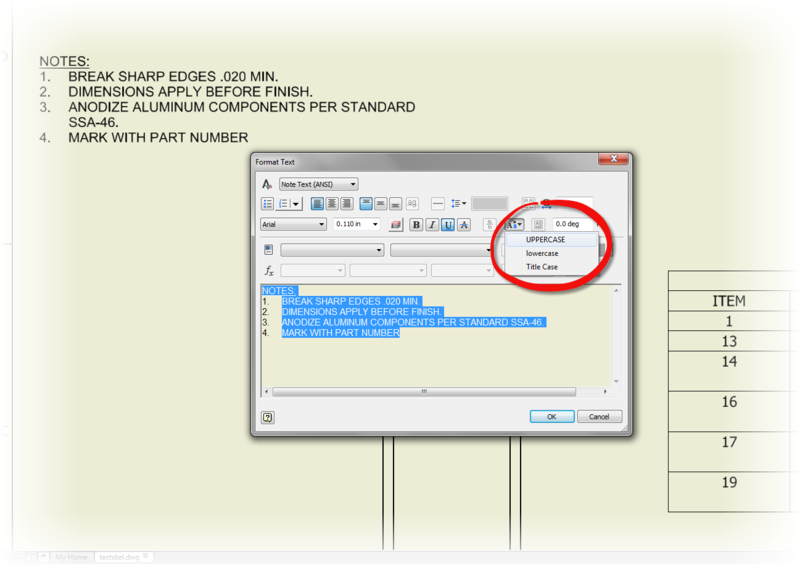 Now, select the part you want to make transparent, in this case, it's the window, and choose the Transparent option. And if you need to, you can choose which views have transparency! It doesn't have to be all or nothing! And below, here's a video showing the same functionality! Enjoy!